Homer E. Q. Boatright, A grandfather, gifted golfer, and golf swing coach. As the golf swing coach, the golfer should include physical training and an exercise component to condition and strengthen their body, to prevent injuries. 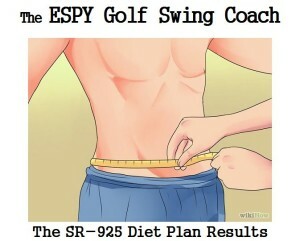 Why wouldn’t a golf swing coach not include an exercise program into their weekly training routine? The answer is, the golfer should include an exercise program for power and distance, but also protect against typical aging issues. 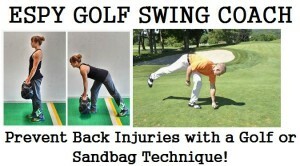 Also, ergonomics plays an important role to provide the basis of an age-defying golf swing. Ergonomics is represented by the letter ‘E‘ in the acronym ESPY. Above is my grandfather and golf swing coach, Homer E. Q. Boatright, at 81 still playing golf at North Hills Country Club in North Little Rock, AR. What is special about North Hills Golf Course is that it is the only golf course in Arkansas designed by Robert Trent Jones in 1938. 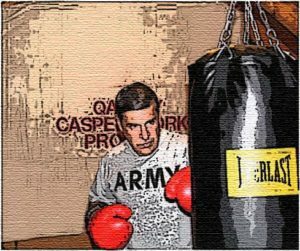 A boxing bag workout one of the 12 components in the CASPER Workout Program. 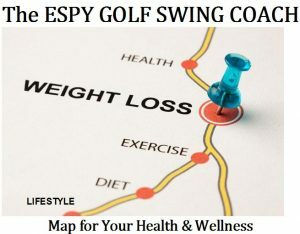 The CASPER (Cardiovascular, Aerobic, Strength and Plyometrics Exercise Regimen) Workout Program provides benefits, even as the golfer ages. I’m living proof of this; I’m 61, and retired, and still maintain my CASPER Workout Program, without changes in my physical activities. I still play golf, walk eighteen holes, four times per week, work on my farm, and promote my book while working from my home office, starting at 5:30 a.m. each morning until noon. Then I go to the golf course. 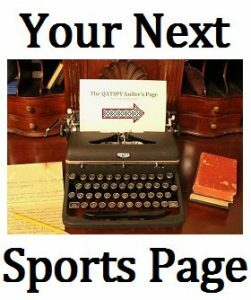 Below, is featured a photo taken just this past January of 2019 of me for my The QATSPY GOLF Inside the Leather Sports Page that I publish on a weekly basis. 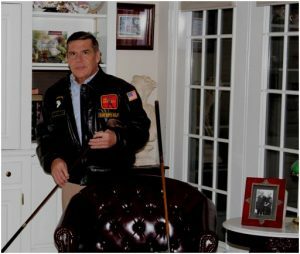 I’m wearing my US WINGS Cape Buffalo A-2 Leather Flight Jacket as a play on words for INSIDE THE LEATHER series. 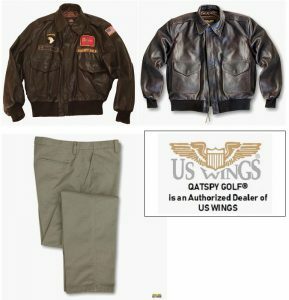 I’m an authorized dealer for US WINGS, The jacket I’m wearing can be personalized with patches and name tags. At the end of this article is links to order your Cape Buffalo A-2 Leather Jacket with tailor length Chino Khakis pants, in order to look your best on and off the golf course. I contribute my health and physical ability to God’s blessings and my 925 MET Diet and exercise routine. I worked with several physical trainers in developing the CASPER Workout Program. In my junior year in high school, I tore my ACL that required surgery. I was determined to stay in shape and maintain my health and fitness even after surgery and as I graduated high school and college. I continued this now after I have retired. But an exercise routine is just only one-third of the equation, as noted in the road map. There is also diet and lifestyle changes that account for the other two-thirds of your total fitness. But an exercise routine is just only one-third of the equation, as noted in the road map. There is also diet and lifestyle changes that account for the other two-thirds of your total fitness. In actuality, exercise is only 20 percent of your health/fitness. Lifestyle changes and diet is the other 80 percent and should be your starting point. For your free use, you can follow my SR-925 Diet Program, where I lost six (6) inches in my waistline within six months; and a total of nine inches total. I went from a waistline of 37.5 inches down to a waistline of 28.9 inches going on five years. Now for the lifestyle part of the equation to deal with the familiar issues, such as: not smoking, limiting your alcohol consumption, using sunscreen, wearing seat belts, using a bicycle helmet while riding your bicycle for exercise, brushing and flossing, drinking plenty of water, getting adequate sleep, getting your physical checkup, and developing the habit of reading and meditating for relaxation. You can add eye protection from the sun rays. In my online store I have the classic aviators sunglasses. Ergonomics is just as important to your golf swing as to your exercise routine and swing techniques. Now an important issue not covered, in most lifestyle and training routines, is ergonomics. Ergonomics is just as important to your golf swing as to your exercise routine and swing techniques. This deals with maintaining proper body alignment and movement while playing golf, during the day and especially during your workout program. 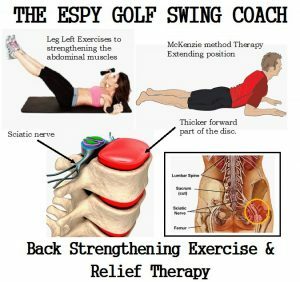 One big issue for golfers is maintaining their back health. To maintain a healthy back, the golfer wants to bend at the hips and turn at the waist, the way the body is designed to function. A great way to ensure that the golfer does this of bending at the hips is a procedure that I call one-step forward, pick up procedure. You’ve heard people state, I just went out to pick up the newspaper and all of a sudden, my lower back went out. This didn’t just happen all of a sudden, but was a cumulative effect. You’ve heard people state, I just went out to pick up the newspaper and all of a sudden, my lower back went out. This didn’t just happen all of a sudden, but was a cumulative effect. 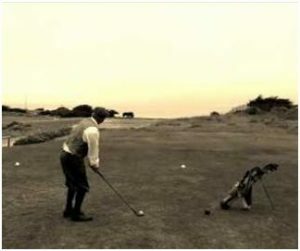 To ensure that you bend at the hips instead of the waist, the golfer should get in the habit of taking one-step forward, as illustrated above, then bending down. The other option for lighter loads, is to use a golfer’s leg extension pickup method, with one leg extended backwards, as illustrated. Either method will make sure you bend at the hips and not at the waist. Not many doctors with instruct their patience of this procedure that will help you maintain a healthy back. Leg lifts and McKenzie back procedure to improve abdominal muscles and relieve Sciatic nerve issues. Bending at the waist instead of the hips will cause the disc, especially the disc in the Lumbar area, to bulge out backwards. This can cause either a herniated disc or worse, a ruptured disc. The reason you want to bend at the hips is that it keeps the pressure in the disc forward. Keeping the pressure in the disc forward is important. This is because the disc is three times thicker in the front of the disc as in the rear of the disc. And this is where the sciatic nerve is located, as noted in the illustration below. Bulging from the disc places pressure on the nerve, causing pain to shoot down into the legs and calf muscles. This is an indicator of disc issues. An exercise you can include in your weekly workout program is leg lifts. This will strengthen the abdominal muscles and help rehabilitate your disc. To link to my article please click on this link: Leg Lifts to Improve Your Golf Swing/Back. This will reduce the pressure on the sciatic nerve. I have to remind myself to do it the days that aren’t my workout days; especially working around my farm or construction. This illustration above shows two procedures to maintain back health, first with leg lifts to strengthen your abdominal muscles. And second, how to reduce the effects of sciatic nerve pain with the McKenzie back procedure. Some Yoga poses include this type of back relief exercise, e.g., as in the Warrior Poses I and II. I would suggest that yoga become part of your workout routine. This can be done in the morning or evening and during the course of the day. Presetting (Synch and Preset) the golfer’s wrists, a great golf swing coach technique the golfer can use. One of the benefits of Syncing and Presetting your wrists is threefold. First– it makes establishing the golf swing easier. 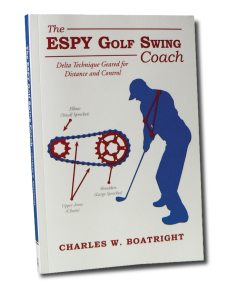 Second– you can become your own golf swing coach on the course because of the set checkpoints. Third, the golfer can take a tremendous amount of pressure off their lower back. Presetting your wrists allows the shoulders to turn 50 percent more than the the back turns at the waist, how a golf swing should function. For more information on how to SYNC/PRESET your wrists in the golf swing, please read my article: The Specific Wrist Action in the Golf Swing . This is a very important article for any golfer of any level to read. Your add more POWER and CLUB HEAD SPEED to your golf swing. I don’t know of too many golfers who wouldn’t want more distance and control. The SYNC/PRESET Technique is the ticket.